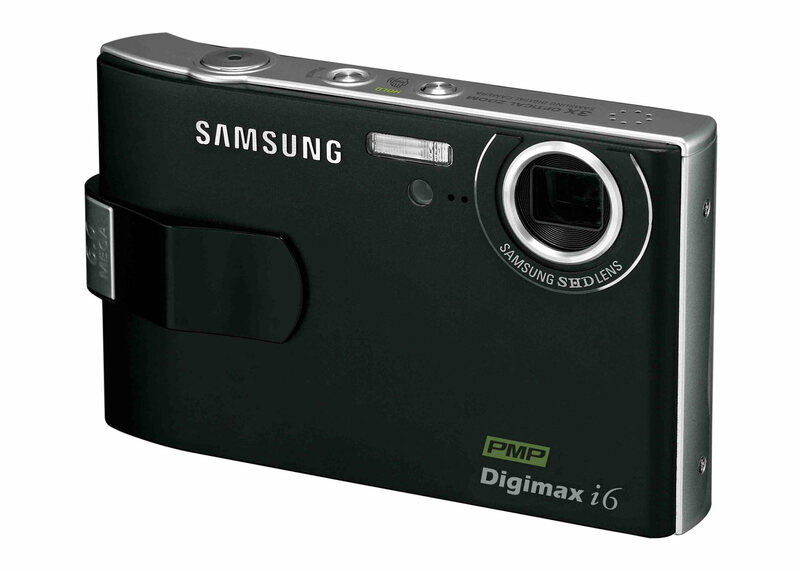 Pre-CES 2006: Samsung has today announced a new slim 6 megapixel camera, the Digimax i6, which doubles as a 'PMP' (personal media player), capable of playing music and video files as well as taking pictures. Also announced is a new series of budget cameras in 5,6 and 8 megapixel flavors. Below is the very limited information we have available on the new cameras. 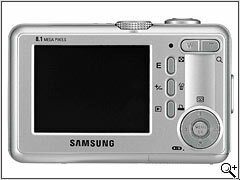 Samsung Cameras (CEO: Lee Jong-gu), has announced the release of the new slim digital camera 'i6 PMP' and the point and shoot 'S' series. The i6 is only 18.5mm thick, and has an enhanced grip, using a unique curved design ensuring a steady shot when taking pictures. Thin and striking enough to take anywhere, the i6 is style and portability in one camera. The Digimax i6 has enhanced multimedia capabilities with upgraded MP3 and the addition of a personal media player function. Play back MP3 music files and also video files, using the conversion software supplied with the camera. The user can even take pictures whilst listening to music. The i6 also has ASR (Advanced Shake Reduction). This algorithm reduces the effects of camera shake and helps the user take clear and natural pictures indoors or in dark conditions without using flash. The i6 also has its own movie editing function, 1cm super-macro, and a cradle for charging and image transfer. 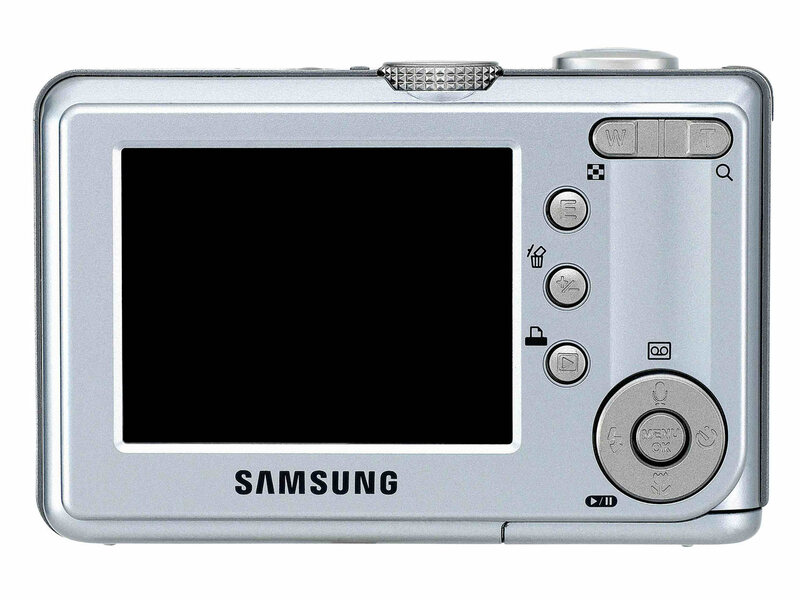 Samsung Cameras will also simultaneously launch the point and shoot 'S' series. The 'S' series is great for family use and for anyone wanting ease and convenience. 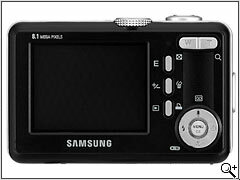 Purchasers can choose from a variety of models: 5, 6, and 8 megapixels in Silver or Black shades. The 'S' series comes with an Effect Key allowing the user to adjust the colour of the photos being taken and also add various creative effects. 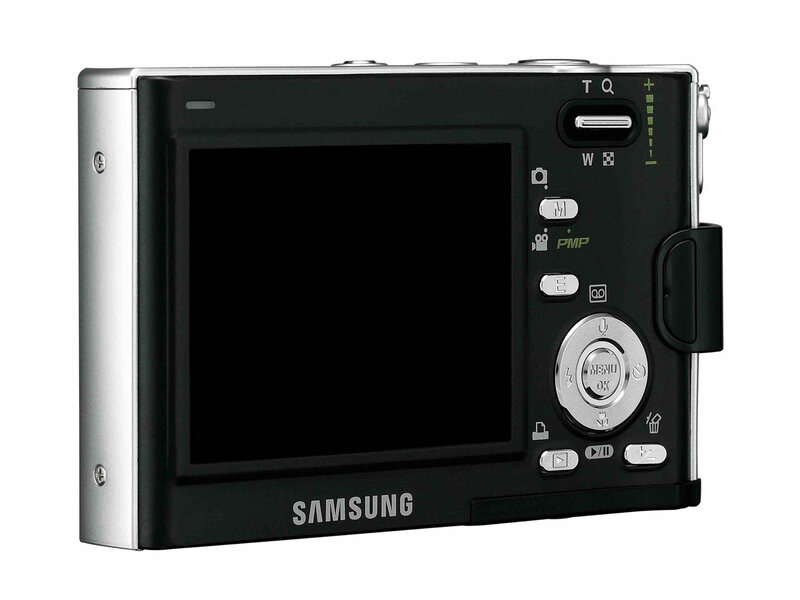 The range also has an easy mode dial that allows the user to move between portrait, night pictures, and movies, swiftly, depending on the situation. The 'S' series has a larger LCD screen for clearer picture quality. Printing out pictures is easy via PictBridge which enables an image to be printed directly to a connected compatible printer - without a PC. 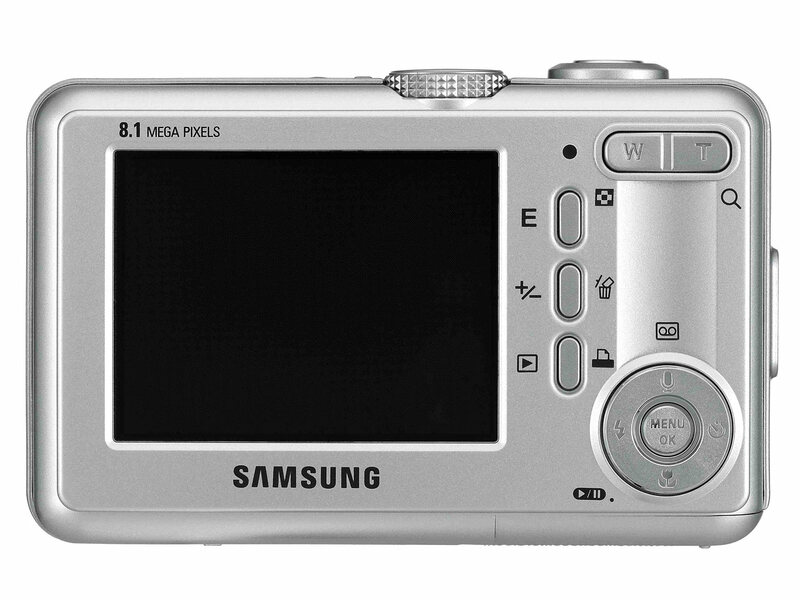 'S' series, a digital camera range for the entire family, features video capabilities (MPEG4, VGA, 30fps) which means it can even double as a camcorder. 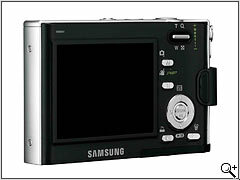 Advanced features allow "in camera" movie editing and a pause function during recording. 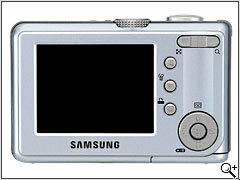 Samsung's 'S' series and 'i6 PMP' cameras are expected to hit the market in early 2006.